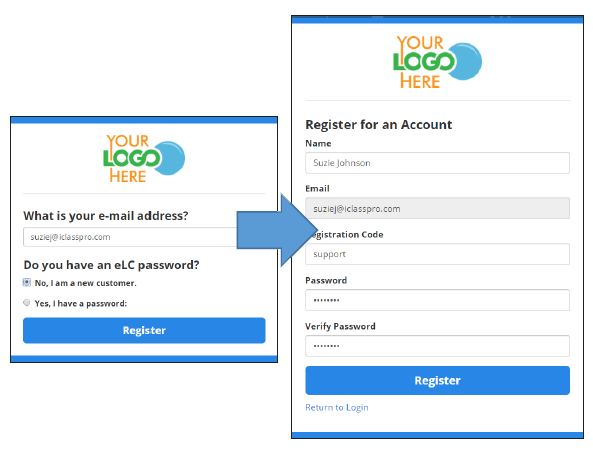 Users can create their own accounts from the login page if they have a valid Registration Code! Choose "No, I am a new customer." On the form, fill out the Name, Registration Code, and Password fields. Check your inbox for a confirmation email to verify your new user profile. Confirm by entering it again.